How to Keep Baby’s Nursery Safe and Fashionable! Baby nursery collections are abundant! This makes decorating decisions difficult to say the least. Recently, I have been having fun looking for nursery items. Along the way I have come across some excellent companies one of which I would especially like to share with all of you. Oliver B has a wonderful selection for baby cribs which are not only high on my fashion list but also adherent to nursery bedding safety recommendations. 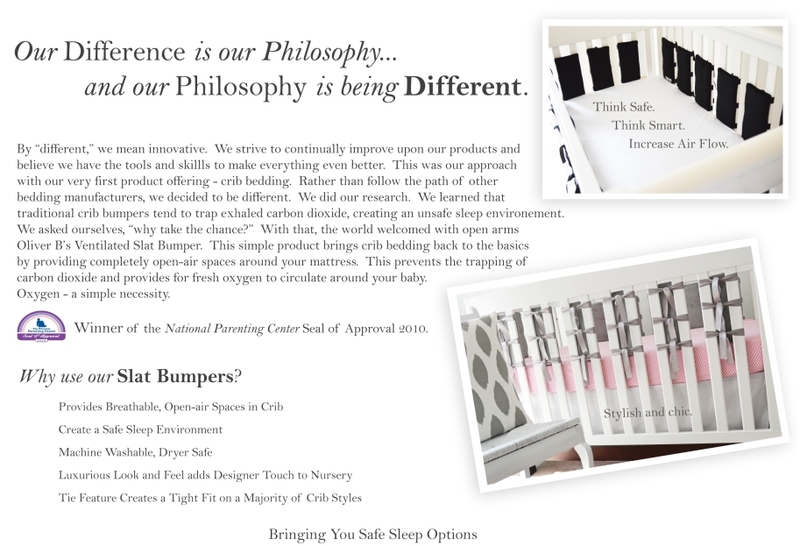 Look at Oliver B’s philosophy on being innovative with their slat bumpers for baby’s crib. Crib safety is nothing to take lightly and these bumpers are safe and smart…don’t you think? In addition, I love that this company is devoted to reducing SIDS with their products. Sudden Infant Death Syndrome is still taking the lives of innocent babies and there are ways to stop this from happening. As a result of several studies conducted by well-known researchers, it has been shown that the standard crib bumper potentially traps carbon dioxide in an infant’s crib, thereby increasing the risk that an infant will die of SIDS. This can occur even when an infant’s air passageways are not covered or even close to the bumper. Unfortunately, this deadly scenario has not received the publicity that it deserves. As a result, mothers around the world are utilizing bumpers in their infants’ cribs under the misguided belief that they are protecting their infants. 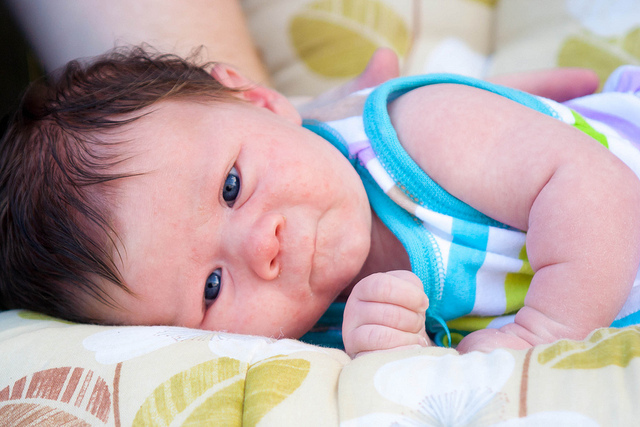 Rather, they are putting their infants in an extremely dangerous situation by failing to substantially reduce the risk that their infants will become a statistic of SIDS. View the full article. What companies and stores have you found for fun, safe Nursery Fashions? This entry was posted in Family, Fashionistas, Fun, Grandmas & Grandpas, Moms & Dads, Safety and tagged baby bedding, baby bumpers, Oliver B, SIDS by llpitlwp. Bookmark the permalink. Please feel free to e-mail me directly from my blog post. Thanks for reading.